Happy birthday to Alex! The big 10 today! Alex had such a wonderful day today, from getting his big car book and his beloved Volvo 940 model this morning, to a surprise party at school with a cake and his classmates (and a beautiful card from his younger brother’s class). 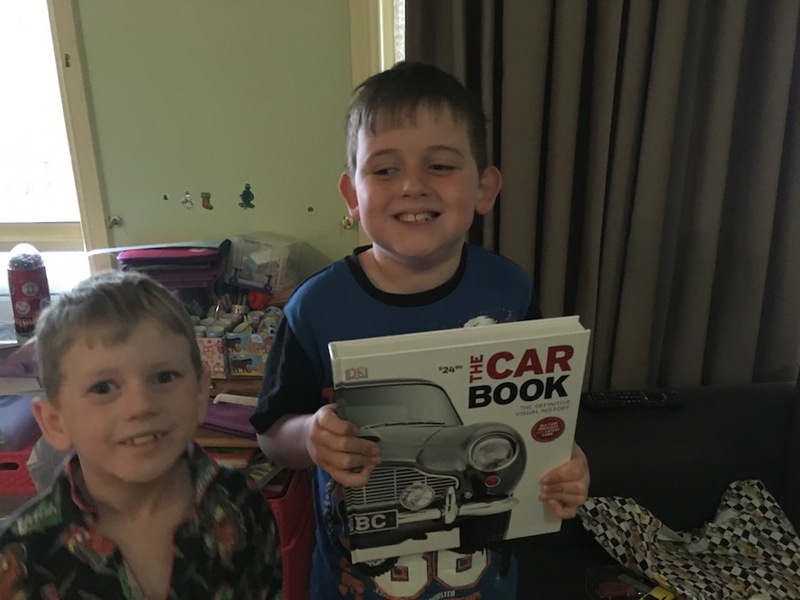 Then after school he received more presents, including a brilliant Lego Creator Camper van set, then dinner of home made hamburgers and lots more fun in between. Truly a birthday to remember for a kid who deserves it. Alex has so many things to overcome, but he does his best and more with such a great attitude and a lovely smile every day. Every night when he goes to bed he tells us “I’m very very happy” and you really do believe him. He’s a light in our day as much as his own, so it’s a privilege to give him such a happy birthday. May we all have such good days. I’m so glad Alex enjoyed his day today. Absolutely nothing else happened today worth talking about.